I’ve been struggling of late, watching time slip through my hands at an alarming rate, the days spinning around at speed. Part of the reason I’m acutely aware of this is because there are so many things I want to get done, but I just can’t fit them all in, and I sometimes beat myself up that another day’s gone and I don’t seem to have cleared any of the backlog, when, in reality, I’m getting through quite a lot of stuff. It’s all crept up on me over the past year or so when, all of a sudden I’ve found myself unable to fulfill all the usual requests on my time, things I’d been able to do as a matter of course over previous years – mainly remixes, or bespoke DJ mixes I’d agreed to record, as well as interviews and a whole heap of articles that are continually left on the back burner. On top of this my email has become increasingly difficult to keep up with, which has been a growing concern. If I don’t keep on top of it, it can run away with itself – it’s a constant battle, and one which, worryingly, I’ve found myself losing (the inevitable conclusion is that I need to bring in a part time PA to deal with new email enquiries on my behalf). 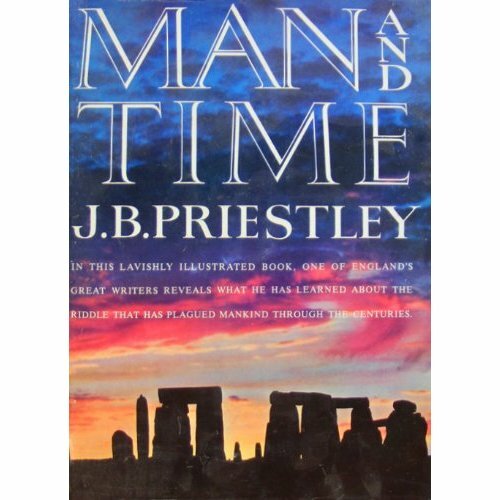 I think it’s important to keep a personal contact, and I want to retain that, but it’s all about finding the balance, or more precisely, temporarily solving this ongoing conundrum, for time, as the author and playwright J.B. Priestley put it, is the eternal riddle. So, as you can see, I’ve been mulling over this dilemma of having so much to do but not enough hours in the day to do it, and, with the tour approaching, I hoped that my journey to the opposite side of the world would act as a means to break the cycle – to go forward in time and then back in time must have some effect. When you boil it all down though it’s not the saving of time that should be someone’s prime concern, but how they spend their time. You can’t put it in the bank, you’ve got to live it here and now, not waste it away on tomorrows and yesterdays – it’s what happens along the way that’s the really important part and, now I’m back home, I can begin to reflect on a consequential adventure, which, whilst physically exhausting at times, has been spiritually revitalizing. Having kicked off the tour with the Hong Kong and Perth dates (see the recent ‘Passing It On’ post: http://blog.gregwilson.co.uk/2012/02/passing-it-on/) I flew in to Adelaide, where my sister has lived for close on 20 years, and spent my first birthday with her since I was about 11 or 12. 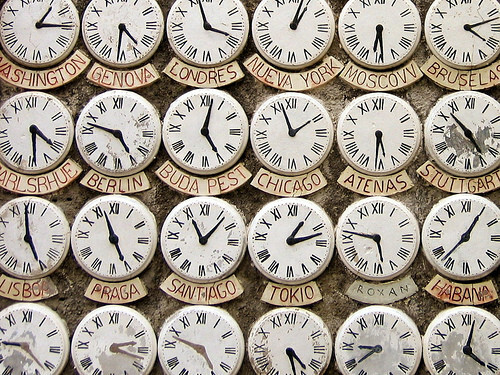 There was an interesting time observation on the day – it was my longest birthday, lasting 34 and a half hours from its start (Adelaide time) to its end (UK time). This also happened to be the exact amount of time it took for me to get back home, measuring from when I left the hotel in Sydney to when I put the key into my front door. Not sure what to make of this, but I was certainly struck by the coincidence. Having played at Sugar in Adelaide on the Thursday, my 4th time there (always good to catch up with Driller, the clubs maverick owner / DJ), I was pretty much pinballed from city to city – 5 in 5 days. It was a series of daily flights from Adelaide > Melbourne > Sydney > Brisbane > Auckland. The gigs were great, but it was within the frantic framework of a breakneck schedule. At the start of a tour like this you’re looking at an itinerary of dates, times and places that need to be navigated, but they’re just the structural necessities – the real purpose of your being there revolves purely around people, it’s all about the coming together, all about community. There are so many people I meet along the road who shake my hand and wish me well in such a genuine heartfelt manner, and who tell me that what I’m doing means something to them – these are nourishing words, deeply felt. Throughout my journey I’ve crossed paths with old friends and, hopefully, some new ones, who I’d like to catch up with and get to know better on subsequent trips, or, as sometimes happens, bump into them in another part of the world – drawn together by destiny or design. I played for around 3 and a half hours, but with 20 minutes to go I did something I don’t normally do, I took the time to have a proper look around the dancefloor, rather than a quick glance before getting my head down again, catching the eye and sharing smiles and good vibes. My senses heightened and the whole panoramic picture came clearly into focus – it was real moment of insight for me. As I stood there looking around and drinking in the atmosphere I became strongly aware of myself as a 10 year old boy, playing records at home in New Brighton, already immersed with an overwhelming passion for music. Now here I was, all these years down the line, on the other side of the world in this marvelous location looking out onto a dancefloor filled with smiling happy faces as the Sydney sun shone down. In that moment it all connected, from back then to now, this love of music had brought me further than I could have ever imagined, both literally and metaphorically. I tingled with a sense of spiritual wellbeing. It was one of those precious moments that mark your place in time. Still buzzing, I was driven to the afterparty, where I played for another hour and a half. We were now in a busy club space – 200 or so people packed into a darkened room and getting their groove on. Although it would have been nice to stick around and relax a bit, I had to pull myself away once I’d finished and get back to the hotel, knowing there was yet another flight in the morning. The following day I found myself at Barsoma in Brisbane, and I did the same thing as I had on the boat – with about 20 minutes remaining I looked out around the faces on the dancefloor, making eye contact and sharing the moment in a more personal manner. Again, I was stopped in my tracks by the warmth coming back at me, and although this was a much smaller gathering than the previous day on the Starship, it was like a microcosm of what I’d felt there and, given the environment I was in, experienced in a more intimate way. I felt a real charge go through my body as I energized from the vibe. What made this all the more special was that I’d had to go on without the Revox they’d hired for me, which we’d realized had been delivered with completely the wrong power lead, and, with it being an antiquated piece of kit, it wasn’t as though there was a suitable lead we could commandeer from elsewhere. Promoter / DJ Kieron C, left the venue on a mission to find one, but came back empty handed. I felt a bit exposed up there with people closely watching me when half of my set-up was missing and I was doing nothing different than most DJs who just use CDs or decks would do. It reminded me of why I don’t like to appear without the Revox, as it feels like I’m letting people down and, although I might be there myself, not having the Revox garners an immediate sense of anti-climax for those in attendance who were looking forward to seeing me using it – getting the full hit, so to speak. But then, just as I was resigned to these unfortunate circumstances, Keiron salvaged the situation, hotwiring a makeshift lead together. There was actually an air of excitement emanating from the audience as the Revox was finally lifted onto the stage and carefully plugged in. I was informed that I was running a slight risk of electrocution – I think Kieron wanted at least a verbal disclaimer, just in case I went up in a puff of smoke as a result of his handywork. 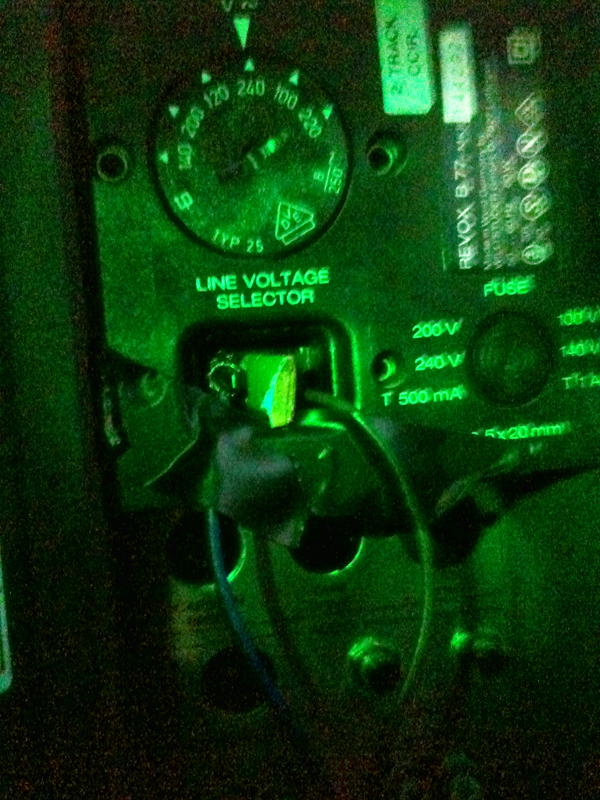 There’d be plenty of electricity generated that night, but fortunately not up my arm. Australia is perfectly positioned as the 21st Century unfolds, with the economic growth of the Pacific Rim nations and the region’s ever-increasing influence on the wider world, Australia is proving to be a key crossroads between east and west. When I first arrived in Melbourne, when the Red Bull Music Academy brought me over in 2006, I’d already decided that Australia wasn’t a country I could see myself living in, purely down to its lack of black culture, for this is the culture that’s informed my life. With this in mind, it was a more than pleasant surprise to find myself in such a multicultural melting pot. Maybe it didn’t have the rooted black influences I hold so dear, but an alchemy of different and diverse people bodes well for the future, when I’m sure Australia, with a distinctive east / west fusion of expression, will really come into its own artistically, taking the best of what it already has, its western heritage, whilst embracing these new influences that stem from its geography. Amidst all this, Australia also has its indigenous population to learn from. Far be it from me, a Brit, to comment on the complexities of the still unresolved Aboriginal question – that is something for the conscience of each individual Australian, just as in my own country of birth the treatment of West Indian, African and Asian immigrants leaves a stain on our collective conscience (not to mention all the follies of Empire, including, of course, Britain’s role in Australia, dating back from when it claimed the eastern half of the country in 1770, and initially turned it into a penal colony). Since I started coming over I’ve found it particularly interesting on a personal level to find a healthy amount of younger enthusiasts now embracing the black music that was largely ignored by previous generations. It’s as though they’ve realized that something important has been left behind and, thanks to the internet, they are now able to explore what their parents and grandparents might have cast aside. They’re making connections that will serve to enrich them further on a cultural level. It’s not as though Australia was devoid of black music, it was always there on the periphery, and would eventually, as elsewhere, make a big impact via Hip Hop, but the Australian music scene has been generally Rock dominated. A good example of what I’m trying to say concerns Nile Rodgers and Chic, who were headlining the Playground Weekender. I was talking to the press agent for Playground and, for starters, I was surprised to hear that Chic had never previously appeared in Australia. She told me how it had come as something as a shock to discover that a large amount of their target audience didn’t know who Chic were. It was only when she mentioned the tracks they were responsible for back in the ’70s and ’80s (both as a band, or via the Rodgers / Edwards production partnership, or indeed Rodgers’ separate work), that the penny began to drop. People could sing along with their hit singles, like ‘Good Times’ and ‘I Want Your Love’, or those they wrote and produced for Sister Sledge, including ‘We Are Family’, ‘Lost In Music’ and ‘He’s The Greatest Dancer’, they just didn’t know who was behind them. 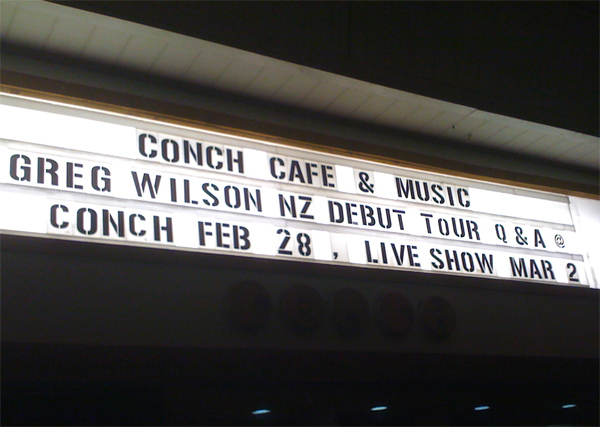 New Zealand, where I went for the first time, has a much stronger basis in black music. The Māori population weren’t sidelined in the same way as the Aboriginals, and they gravitated towards black American recordings, meaning that Funk and Soul tracks were heard on the radio back in the ’70s, alongside the Rock music that, as in Australia, the white population favoured. Dub Reggae would subsequently become an NZ mainstay. I’d play in Queenstown and Auckland later that week, but things kicked off with a Q&A session and tape editing demonstration, hosted by the British Consul at the Auckland record shop / café, Conch. I was really taken aback by the amount of people that attended, the majority of whom were local DJs – it’s weird to go somewhere you’ve never been before and be made to feel so much at home. It was a very enjoyable couple of hours, and great to connect with people in this way (most of them would be at the gig 3 nights later, which turned out to be a memorable debut in the city). It was after the Conch event, when I’d been taken for a meal at a local Japanese restaurant, that I met Levani, a Fijian percussionist who imparted his words of wisdom to me as we ate, and also later, when we returned to the shop to chill-out for a while at the end of a gratifying night. Levani spoke to me about natural sound, and how in his culture this helps map everything out. 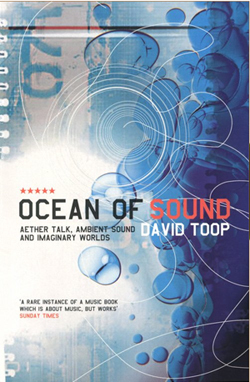 I’d struggle to even attempt to explain what he was saying, as I was only able to grasp small fragments, but it made a definite impression on me, especially as I’d been reading David Toop’s fascinating study of ambient music, ‘Ocean Of Sound’, which touches on the work of a wide and diverse range of artists and composers, including Brian Eno, Lee ‘Scratch’ Perry, Claude Debussy, Erik Satie, Brian Wilson and Karlheinz Stockhausen (to name but a few), and takes the ‘Gamelan’ island music of Bali and Java as its starting point. What struck me was that this was a totally natural thing to Levani, part of his DNA – a whole other language passed down from generation to generation to generation since who knows when. If only he could find a way of translating these deeper truths so our limited westernized minds might comprehend. Maybe that’s the problem – it’s not really a head thing, but something that’s felt with your whole being. Try to intellectualize it and it just evaporates away. We could learn so much from those people who haven’t been disconnected from nature, or from ancestors who may be physically departed, but are still very much alive in spirit. They’re the keepers of a flame that only flickers dimly in our so called civilization. The world is changing at speed, Alan Moore’s ‘culture of steam’ is upon us and it would do us well to ground ourselves in the natural at a time when technology is running rampant (as Kieron’s hotwired Revox reminds us, there’s always a danger when not properly earthed). With information past the point of overload, vaporizing into virtual clouds of seemingly unlimited data storage, retaining a connection to the organic nature of things is perhaps more important than ever. The Aboriginals, with their dreamtime and songlines, would surely know all about slowing down time – stepping outside of its limitations into a constant now. One of modern Australia’s greatest artistic triumphs, the 1975 Peter Weir movie, ‘Picnic At Hanging Rock’, draws from these more ancient notions of time, which began to weave their way throughout this vast country / continent 45,000 years before its relatively recent British colonization. 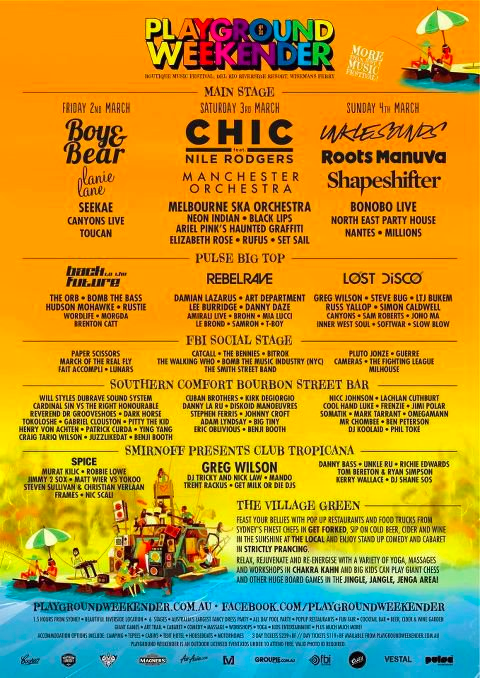 Whilst I was in New Zealand I heard that the Playground Weekender, 2 hours outside Sydney, had been cancelled due to flood warnings (the warnings proved correct). Greater forces had conspired to throw my plans up in the air, but although it was disappointing, especially given that I’d been booked to close the festival (following in the footsteps of Tom Middleton and Norman Jay), the organizers managed to arrange some alternative events, so all was not lost. I also was able to find some time to spend an hour with Adrian Isaac (aka DJ Kool Ade) on Bondi FM. The tour was put together by the Richard Maher Agency in Melbourne. Richard has been booking my Australian dates for the past 5 years, and things have built really well since he came onboard, noticeably moving up a notch or two this time around. I’d already found my niche in Australia via my previous tours, but this niche now seems to have widened somewhat. I think we’ve worked things at the right pace, with an average 18 months between my visits, but I’d be surprised if it’s anything like that long before I head back over – I might keep the fuller tours to the same timescale, but if I’m on that side of the world I may well drop by for 2 or 3 dates. On the surface, it’s a country that has it all – the weather, the lifestyle, the prosperity. But I’ve still heard some Australians complain, referring to it in a disparaging way as a ‘nanny state’, where sometimes the good life can all seem a bit sterile. This brings to mind middle-class America in the ’50s, which, despite its affluence, was rejected by the youth, in a ‘generation gap’ between parent and child, as soulless / spiritually redundant, with the Beatniks and, eventually, the Hippies filling the void of ideas and changing the cultural landscape in the process, all in just a matter of years. I’m not suggesting there might be a ’60s type youth revolution or anything quite as radical as that, but perhaps Australia will meet its own summer of love / self-discovery at some point in the years ahead, finding its own unique questions to ask of itself. As for this question of time that’s been playing on my mind, having been half way round the world and back I can definitely say I’m feeling, to use an old Hippie adage, much more at one with myself. I knew the answer to my question all along, or let’s say that I’ve remembered that I knew, for sometimes these things slip your mind. So I’ve decided the wise thing to do is to yield to these forces more powerful than I, to go with, rather than push back against the flow, even if it seems to be flowing a little more quickly than I’d choose. If I can’t keep up, so be it, I can only do the best I can. The intention is there, but the timescale can’t be nailed down, for this will only serve as a rod for my back. It’s about accepting things for what they are and allowing myself to enjoy what life brings, rather than carrying around the burden of stress that comes from making unreasonable demands on myself. My moment of clarity in Sydney, its confirmation in Brisbane, and my meeting with Levani in Auckland all provided food for the soul by taking me outside of myself and placing me square in the moment, where greater intensity and depth is experienced, and where time seems to slow to stop. If I can get to that place a little more often I know I’ll be making the right moves. Totally hearing you Greg and feeling the sense of space that the latest experience has brought for you. Fascinating post Greg, thanks for taking the time to share your insight. or a better place to be. and our weapons remain locked away. of a simple way of living. I moved to Melbourne from the UK about 3 months ago.The people I have met so far have literally no interest or knowledge of electronic music, its almost like it has skipped a generation here and its only really the late teens/early twenties who are getting into it. Though I have been pretty surprised by the number of well known as well as what I would consider underground names I have seen playing here. Melbourne on the whole seems like a really “soft” city, I have not come across any kind of hardship/grittyness yet that you see in the UK on a daily basis and I wonder if this may have lend itself to the sterility you refer to. As the past has proven, the most creativity tends to come from the least financially well off. 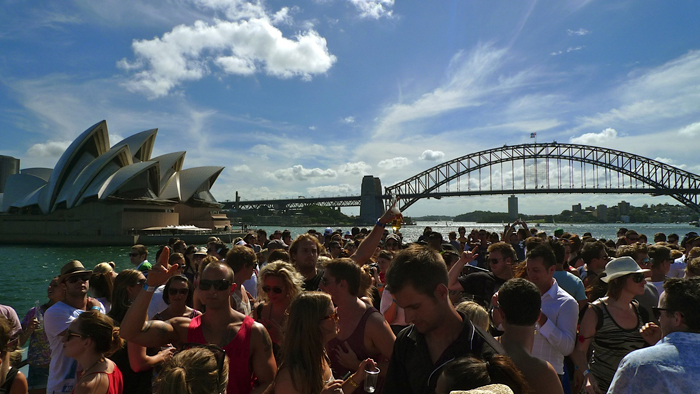 People in Australia also seem to spend far more time outdoors than they do in the UK – again this could affect any music nerds finding their groove and creating a new vibe outside of the classic house, techno and new disco scenes. Another point worth considering is the cost of getting high in Australia – drugs are outrageously expensive here and we all know that electronic music goes hand in hand with getting on it. Loved this blog post on so many levels – especially as a New Zealander. On that note, you may love this track from Lord Echo (Mike from the Black Seeds): http://www.youtube.com/watch?v=IDyHQzyh_TE&feature=share – see you at the Garden Festival, maybe sooner! great read greg. always remember whenever i saw the band Lamb andy barlow the producer always used to take a photo of the crowd at the end of every gig which i thought was a wicked way of freezing the memory of it all. Hey Franco, you bring up some good points, but maybe not speaking to correct people re “literally no interest or knowledge of electronic music, its almost like it has skipped a generation here”. Try dropping in at Revolver Saturday night and speak with Phil Ransom. Greg has played there with those guys before. Hi Franco: I’ve had some great nights in Melbourne, including a couple at Revolver (my first 2 appearances in the city). It’s a club you don’t forget in a hurry, opening on the Friday night and not closing until the Monday morning! After I’d finished playing there I found myself sucked into this Revolver vortex – it was like the freaks come out at night, with lots of spaced out clubbers heading there in the early hours, and before you know it you find that you’re one of those freaks yourself! Definitely an experience I’ll never forget and a unique club. I can’t comment about the overall music scene in Melbourne, but I was always under the impression that, if you know the right places, it’s pretty healthy. I think it’s, as Tim said, a case of connecting with the right people, so hopefully you’ll take Clifford up on his offer, and check out a few of the things he recommends. A really fascinating read, I may possibly properly not agree totally, but you do make some quite legitimate points.